It seems many of our peers did not attend F8 this year. Having just read the post published today by Bazaarvoice on what marketers need to know about the new Instagram Graph API, we thought it was a good time to clear the air on the future of hashtags for visual marketers. Many of the visual commerce platorms, including Olapic, have been advocating for the shift to mentions for weeks now. 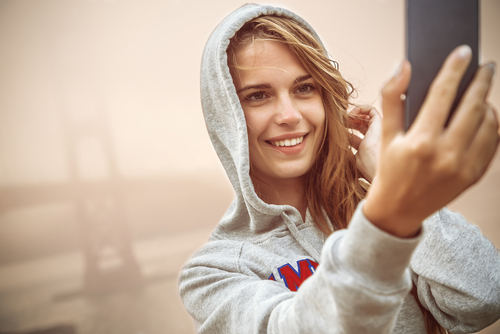 While the reasoning behind these recommendations is sound, the guidance is largely based on technical limitations that appeared in v1 of the Instagram Graph API, with the most notable being that, to start the explicit rights conversation with creators, brands can only publicly comment on media where they were mentioned (in either the caption or comments). However, missing in all of this analysis is what was presented on stage at F8 this summer. 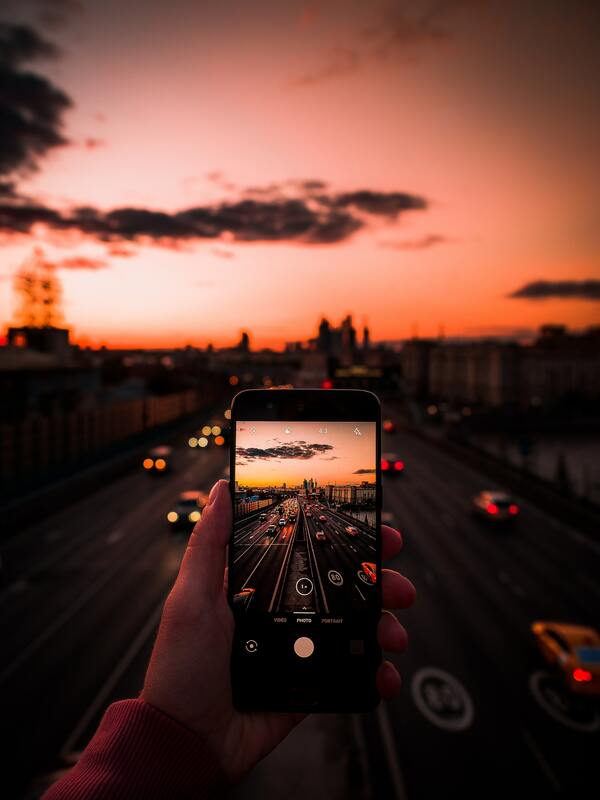 One of the strengths of Instagram is the prevalence of people publicly sharing their interest and their content to the Instagram community. Late last year, the company leaned into this strength when we launched a feature that made it so that people could follow hashtags. By doing this, a user can opt-in to have content pushed into their feed by creators whom they may not be following. But this also meant that Instagram took a stance that when a creator adds a hashtag to their content, then the creator of that content intends for it to be distributed to accounts with whom they may not share a connection. That stance extends over to the graph API so by the end of this year we're going to open the doors to public access with our first major content API. It's going to come in the form of a hashtag read and it's largely going to be modeled after the following of hashtags. The other point that was highlited backstage was that this transition would happen in time for the deprecation of hashtags on the legacy Instagram platform API. 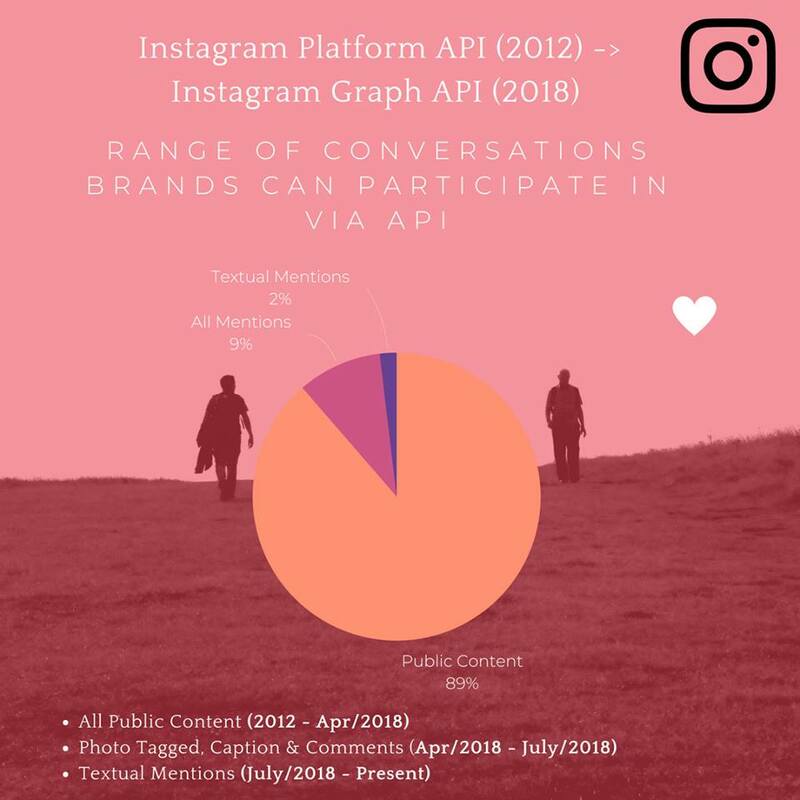 2018 was undoubtedly a turbent time for Instagram platforms and marketers that rely on 3rd party platforms but after in-person discussions with Instagram at F8, we are extremely impressed by their commitment to the Graph API and their support for larger, more distributed, teams that require capabilities that are not addressed in the native experience.